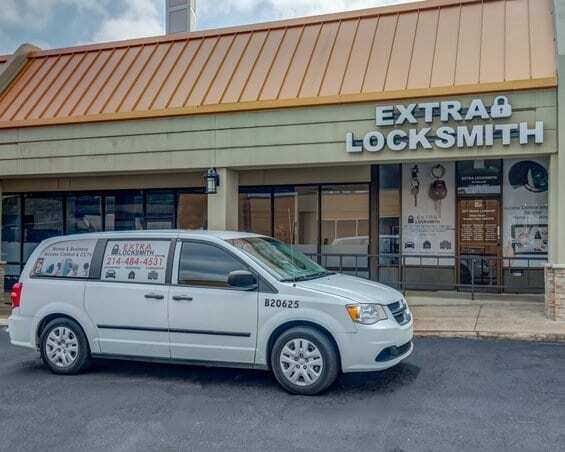 Your #1 Locksmith, we know the importance of giving the community a safe, dependable, and affordable locksmith in Dallas. Going the extra mile to provide a high-quality locksmith service that the community deserves. As well as, being Licensed, bonded, experienced, and insured for your safety and comfort of knowing that you are given more reasons to trust us. Our customer service specialists are here to serve you and your family rather than focusing just on the work we also provide great customer service. Ensuring all your automotive, residential, commercial needs are met. Please take a moment to watch our video. We service all of Dallas, TX and the surrounding cities. Yes, all of our locksmiths are licensed, and insured. Do you provide mobile services? Yes, we are equipped and able to provide mobile services to the DFW area. Providing mobile car key replacement, including transponder keys, and key fobs. For car key duplication stop by our store today! We are one of the best in the business. If you get locked out of your business, office or commercial property in Dallas. Consider calling Extra locksmith, we will dispatch one of our locksmiths right away. Regaining entry back into your business hassle free! Lost your house keys? Is your house lock broken? Call us right away for immediate house lockout services. Serving the Dallas area with tremendously fast house lockout services. No need to change out good locks you can get them rekeyed to work with a different key. Our residential rekey and commercial rekey services start at just $17.50. Make an appointment today or call us if you have any questions. Getting locked out of your vehicle can be stressful. Due to, not knowing who to call, or what to do next. When you Call Extra Locksmith our locksmiths are available to unlock your car quickly for a reasonable price! We provide access control for all residential and commercial properties. Also including CCTV systems, keyless entry, keypad systems and so much more. Ask about how you can set up a free estimate on your property or business today! You Deserve A Great Locksmith Experience! We know the importance of giving the community a safe, dependable, and affordable locksmith in Dallas. Going the extra mile to provide a high-quality locksmith service that the community deserves. As well as, Being Licensed, bonded, experienced, and insured for your safety and comfort of knowing that you are given more reasons to trust us. Our customer service specialists are here to serve you and your family rather than focusing just on the work we also provide great customer service. Ensuring all your automotive, residential, commercial needs are met. Please take a moment to watch our video. A lot has been said about locksmith scams. The short of it is that you might end up paying a huge chunk of cash for poor services after unknowingly calling an advertisement that connects you to a call center located halfway across the world, which offers an exceptionally low quote before connecting you with an under qualified service provider. 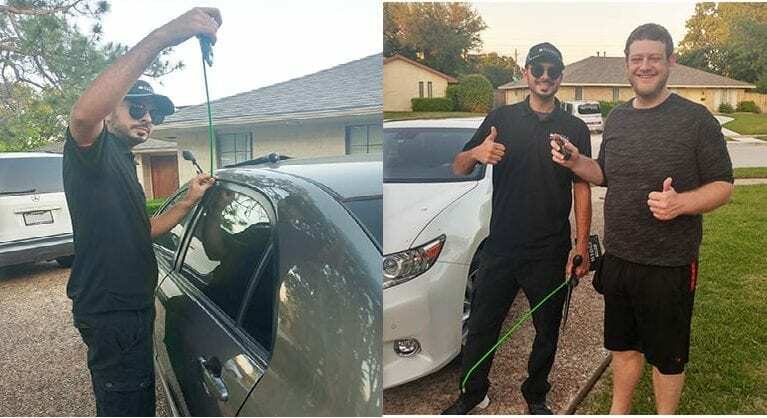 To help you avoid such scams, here is a short list of tips you can use as a guide to finding a reliable locksmith in Dallas. All of our Locksmiths are fully licensed, bonded, and insured in the state of Texas. Because when you choose us, you’re choosing the safest, most reliable, and most affordable Dallas locksmith. With over 50 years of combined experience, our Dallas locksmith technicians will provide you with high-quality service paired with a genuine smile. Furthermore, our customer service specialists are here to walk you through the process while getting a technician to you as quickly as possible. We go to great lengths to make sure that you are satisfied. Above all leaving absolutely no room for error. Upfront Pricing, No Hidden Fees! Putting the safety and well-being of our clients above anything else. As a result, we provide dependable, safe, services, specifically designed to cater to our clients’ individual security needs. Also, our locksmiths are happy to provide expert advice so you can make an educated decision regarding our services. Including security system setups for your home or commercial space. Our services have no hidden fees, hence you will know exactly what to expect before the job begins. As a result, you’ll never be left in the dark. Locksmith technicians that are happy to walk you through all of our procedures, giving you comprehensive pricing breakdowns along the way. Because we understand that being transparent ensures that you are getting what you are paying for. As a result, there will be no hidden fees! Above all, we truly care! Striving to be the best Dallas locksmith while providing premium services. When you are in need of immediate service rest assured our locksmiths will come prepared. Because we use state of the art tools we will get you back in operation as quickly as possible. Seeking to make the community a safer place for your home, business and vehicle owners all throughout the Dallas area. Our locksmiths strive to provide you with fast, efficient, and affordable services when you need them most. 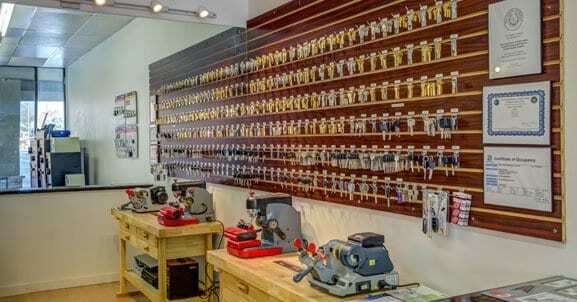 Furthermore, all of our technicians at Extra Locksmith are certified and fully licensed, bonded and insured in Texas. Another reason to hire us we ensure the comfort and safety of our valued clients! Our locksmiths undergo comprehensive criminal background checks through the Department of Justice and Federal Bureau of Investigation. Extensive training and advanced knowledge and skills in various locksmith techniques. You certainly can count on us for your locksmith needs. Providing upfront pricing as a result, there won’t be any hidden charges. Likewise, our locksmiths will never complete a job without first going over the price. Also, our locksmiths will be happy to address all of your questions, comments, and concerns along the way. Maybe you’re just calling around for a quote? Because we are upfront we are happy to provide you with an estimate over the phone and an exact price in person. Ensuring that you are receiving high-quality services that will save you time, effort, and money. Our storefront is equipped with a large variety of keys allowing us to provide great priced car key duplication services. Constantly striving provide only premium locksmith services at affordable rates.